Established in Canberra in 2014 by Emily Frizell, AeroPM is a consulting firm that engages across the Private, Government, Defence and Space sectors. Based in Canberra, the company works with its clients Australia-wide to deliver a range of complex technical projects. AeroPM personnel are highly qualified and customer focussed authentic leaders, trained to perform in complex strategic environments. For a full list of expertise and capability please visit the AeroPM website. Capability Definition Documentation. Delivering Operational Concept Documents (OCD), Functional and Performance Specifications (FPS) and Test and Evaluation Master Plans (TEMP). Specialist and Systems Engineering. Within Aerospace Engineering, Systems Engineering and Engineering Management, Software, Electronic Systems, Certification, Airworthiness, Systems Safety, Electronic Warfare (EW) and Communications and Integration. Program and Project Management. Delivering complex strategic programs and projects across Air, Sea and Land domains. With skilled experts in scheduling, cost estimating, financial management, risk management, transition management and quality management, developing Business Cases, Project Execution Strategies and supporting project documentation. Procurement and Contract Management. Specialising in solicitation, detailed tender preparation, tender evaluation and provision of recommendations, professional contract negotiation, developing contract performance management frameworks, managing contracts, contract remediation activities, Requests for Tender (RFT) packs, tender evaluation and contract negotiation activities. Integrated Logistics Support. Experienced in Integrated Logistics Support and Asset Management, developing logistics documentation including support plans and business cases, developing and managing support contracts, facilities reviews and volumetric assessments, managing risk, and managing delivery of training programs. Test and Evaluation. Across the Air, Sea and Land domains. AeroPM has a number of T&E specialists including qualified Flight Test Engineers and Test Pilots encompassing the full range of independent Verification and Validation activities across the Capability Lifecycle. FIC Coordination and Stakeholder Engagement. 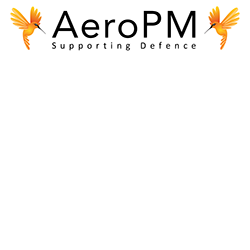 AeroPM proudly employs Australian veterans with strong operational knowledge and networks within the ADF. AeroPM personnel understand the Capability LIfe Cycle (CLC) and Fundamental Inputs to Capability (FIC) and have extensive experience in Stakeholder Engagement, transition management and IC coordination. Program and Project Management. Delivering complex strategic programs and projects. With killed experts in scheduling, cost estimating, financial management, risk management, transition management and quality management, developing Business Cases, Project Execution Strategies and supporting project documentation. Test and Evaluation. AeroPM has a number of T&E specialists including qualified Flight Test Engineers and Test Pilots encompassing the full range of independent Verification and Validation activities across the Capability Lifecycle. AeroPM is a team of dedicated, passionate, high-calibre personnel, working in multidiciplinary teams to achieve quality results for our clients. AeroPM integrates relevant experience and technical expertise to provide exemplary customer-focused professional services across your program's lifecycle. AeroPM is committed to providing an innovative, motivating, safe and fair environment where each member of our team is encouraged and provided with every opportunity to succeed. In return we seek dedicated, professional team members who support the culture of AeroPM.